LONDON — A day before the transfer window closes, the managers of Crystal Palace and Sunderland turned to former clubs to refresh their relegation-threatened squads on Monday. And Leonardo Ulloa got tough in his fight to leave Leicester, accusing the English Premier League champion of reneging on a pledge to allow him to leave. Premier League clubs have until 2300 GMT on Tuesday to sign players for the final time this season. Palace signed defender Patrick van Aanholt, a 26-year-old Netherlands international, from Sunderland on a deal through June 2021. "He will add pace and energy to our team, has strong defensive qualities and has the added ability to score and create goals," Palace manager Sam Allardyce said. Palace is two points from safety and a point above last-place Sunderland, which Allardyce managed last season. 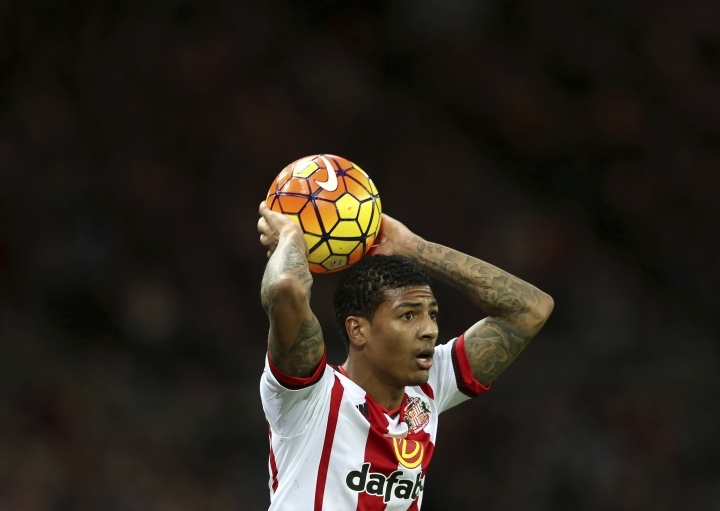 Sunderland sold Van Aanholt in a deal that could be worth 14 million pounds ($17 million) to fund manager David Moyes' recruitment drive. "It was my decision to sell Patrick, so if anybody thinks it was because (owner) Ellis (Short) was wanting money, it was far from that," Moyes said. "Because of the level of the wages, the sale meant that I had opened up the ceiling, which allowed me to maybe get some players in." Like Allardyce, Moyes has turned to an old club — Everton — to bolster the squad. Defender Bryan Oviedo and midfielder Darron Gibson signed up on Monday to join former Everton teammates Joleon Lescott, Victor Anichebe and Steven Pienaar at Sunderland. The 26-year-old Oviedo made just 68 senior appearances during almost five years at Goodison Park, while the injured-dogged 29-year-old Gibson managed one more in his five years. "Every player who is coming into Sunderland is a bit of a gamble," Moyes said. "I don't think we could get an absolute nailed-on player." Ulloa, who has handed in a transfer request, went public on Monday with his demand to be released by Leicester. The striker has been targeted by Sunderland, Turkish club Galatasaray, and Spanish side Alaves. "I am a bit sad about the current situation because it's been two wonderful years at the club but now not playing and not being part of the team's plans I feel the best way forward is that I leave and I can be happy somewhere else," Ulloa told Sky Sports television through a translator. "The manager has been telling me for the last three months and for the last two weeks that if an offer of four or five million (pounds; $5 or 6 million) was coming to the club he will help me to leave. "My understanding is at this moment there are offers around those figures or even bigger that are not being considered." Manager Claudio Ranieri wants to keep the 30-year-old Argentine, with Leicester only five points above the relegation zone. "I know he is very, very anxious but we don't change our mind," Ranieri said. "For us it's important. We don't want to sell him. Also I don't want to because I have just (Islam) Slimani as a target man and I need another target man. I want Leo here and I hope he can be calm and understand my position. Of course he's not happy and I understand him. "The club know my idea very well and also Leo knows very well my idea. He is a fantastic player, a fantastic man, and I believe in him." Hull, which is in the relegation zone with Sunderland and Palace, is looking to sign three or four players. "We need to put more players in our squad to change this situation because it is not easy to play all the games and keep players fresh," Hull manager Marco Silva said. "We need to put quality players in our squad."